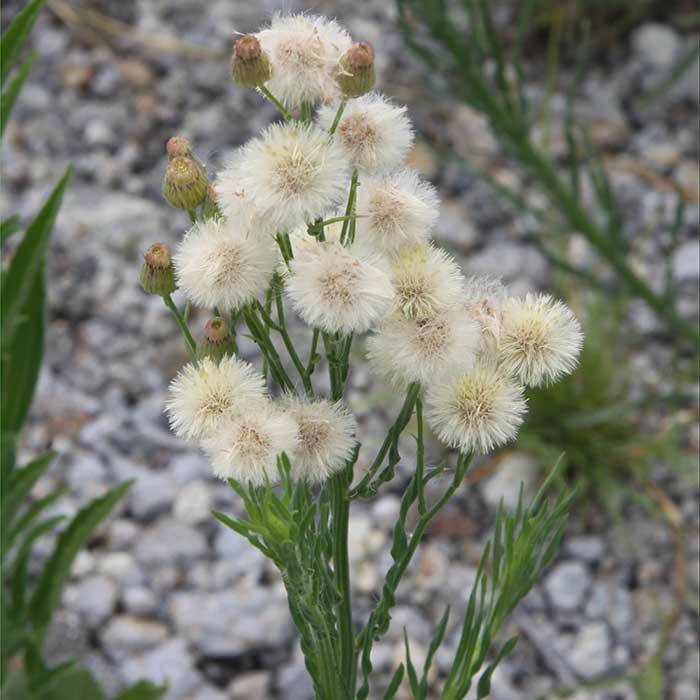 The species are easily separated at the rosette stage by the narrow crinkly or wavy leaves of wavy-leaved fleabane and when flowering by the larger, whiter, ball-like flower heads of wavy-leaved fleabane. 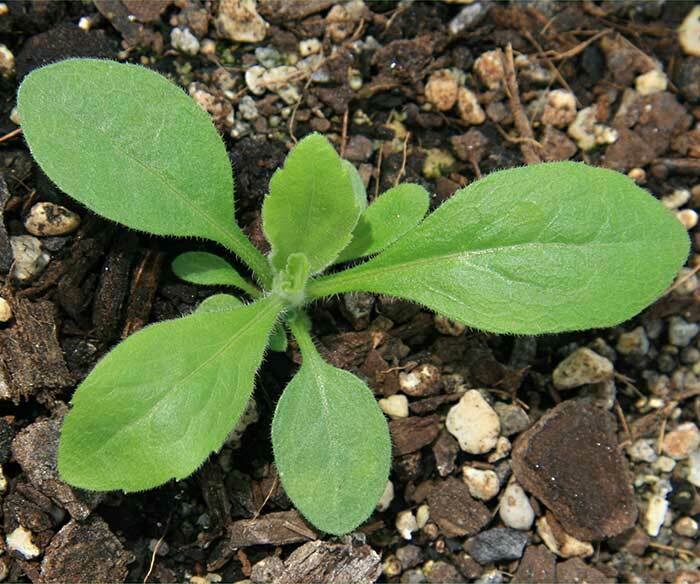 The basal rosette leaves are flat, up to 12 cm long by 2 cm wide, thin, soft, very variable in shape. Stem leaves are narrower, without stalks, again variable in shape, with rough surfaces and few or many hairs. Leaves are blue-green, wavy and usually twisted, covered in stiff hairs; stem leaves are usually narrow, lance-shaped, wavy and twisted. 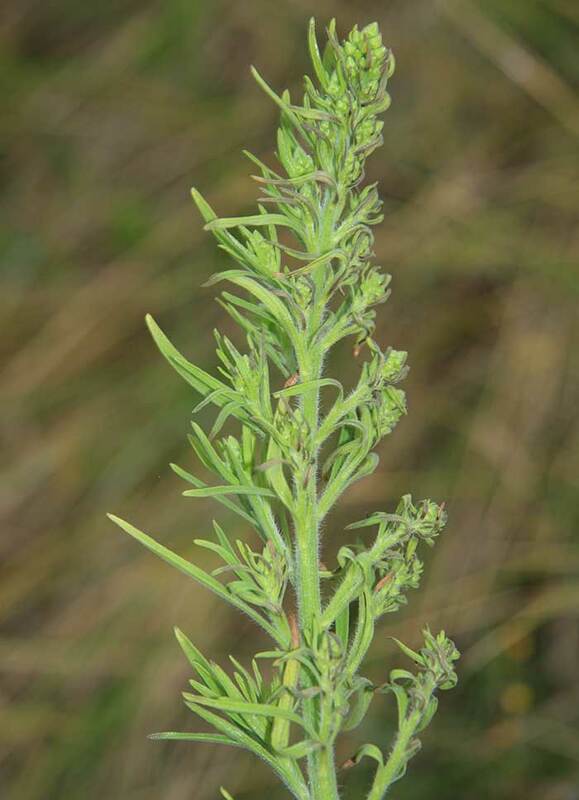 Conyza parva (smooth fleabane) is a smaller, more slender plant than the other species and is found in only a few places in northern North Island. Conyza bilbaoana was first recorded in New Zealand in 1855, Conyza bonariensis in 1883, Conyza parva in 1940, Conyza sumatrensis in 1957, and Conyza canadensis in 1988 (according to the Flora of New Zealand). Seeds are most likely to emerge in autumn. Seed production in all species is prolific. Seeds are carried for some distance on wind currents and are often found stuck to footwear, farm machinery and vehicles. 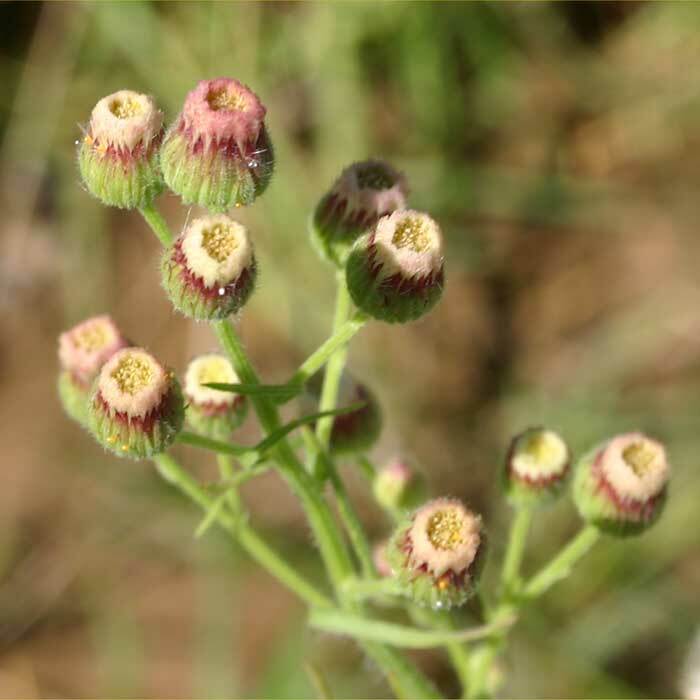 Given the confusion over the correct botanical names of species of fleabane, it is unclear as to which species may have herbal benefits. They are more likely to be a problem in permanent crops; for example lucerne and tree crops. 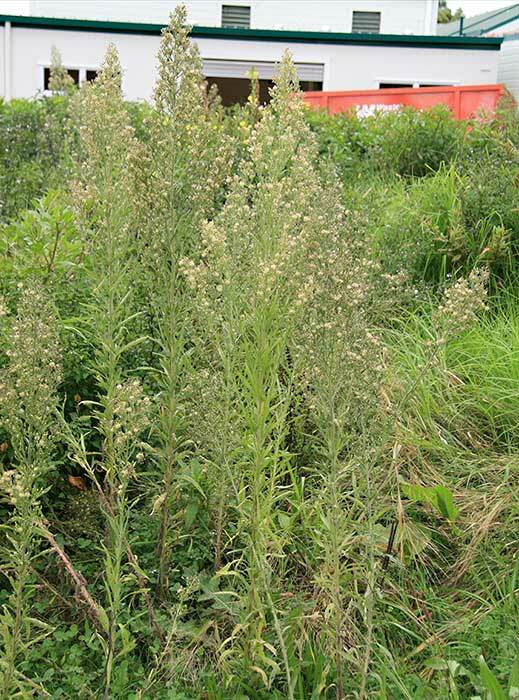 The appearance of tall flower stalks, that are not palatable to livestock, can look very unsightly in otherwise neat, tidy pastures. 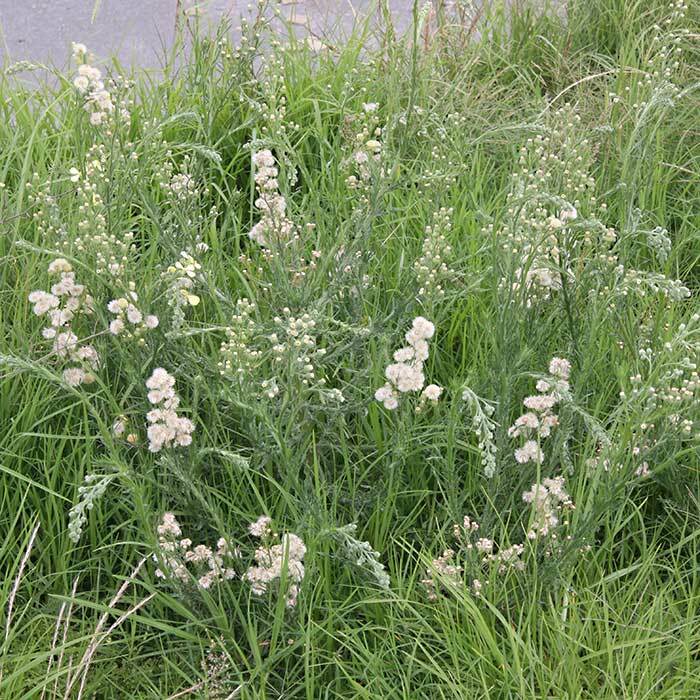 Frequently found on roadsides from where the seed can readily spread to pastures. This poses a great risk also in New Zealand in areas where glyphosate is repeatedly used such as roadsides, railway lines vineyards and orchards. 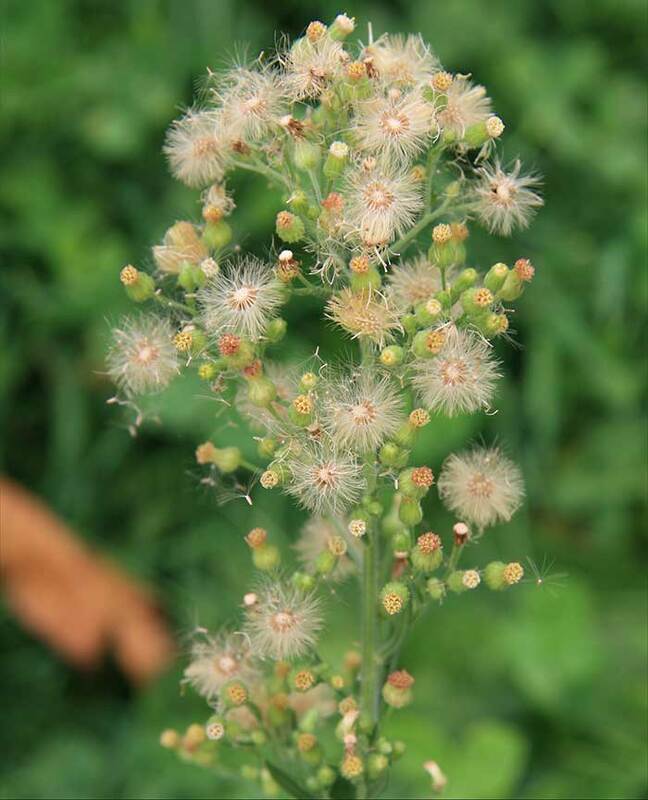 After the flower stems form, they are not palatable to animals. Mowing will knock these down, but will not be a useful control method for those plants growing along fence-lines or in waste areas. 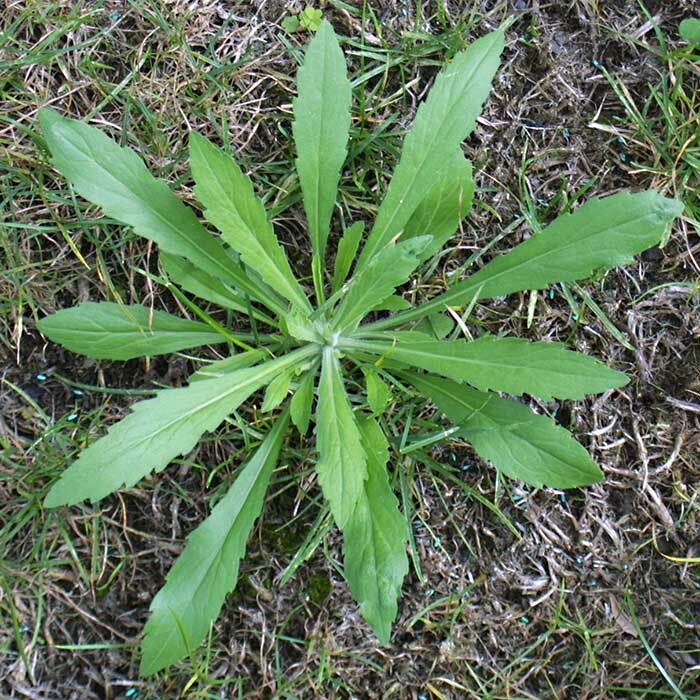 In Australia glyphosate resistance has developed in wavy-leaved fleabane (known to Australians as flax-leaved fleabane), and broad-leaved fleabane may also develop resistance to glyphosate here if sprayed for too many successive years. 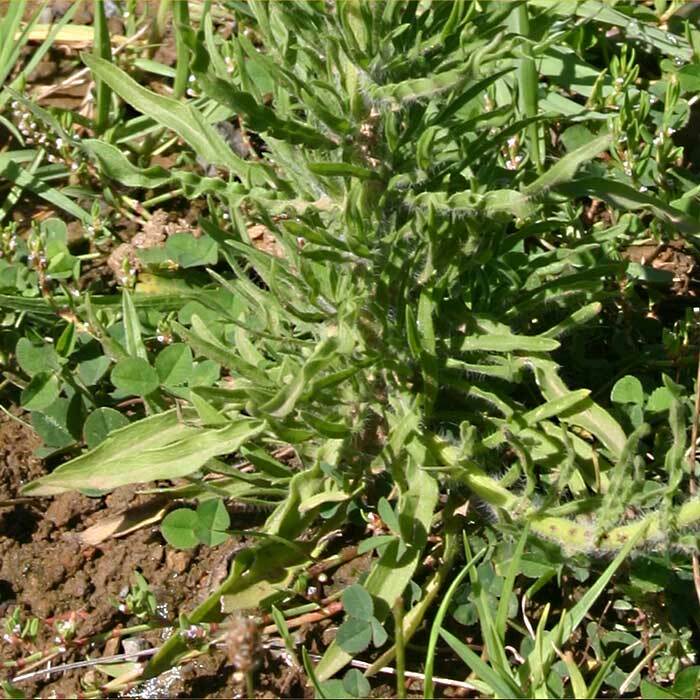 Broad-leaved fleabane has developed resistance to glyphosate in vineyards and orchards in Europe. As well as resistance to glyphosate, fleabanes have also developed resistance to sulfonylureas, paraquat and atrazine in many countries; herbicide avoidance strategies should always be used.